Morgan St. James (left) and her sister, Phyllice Bradner (right), are the co-authors of the Silver Sisters Mysteries, humorous mystery novels about “identical twins as different as Goodwill and Gucci.” Each of the authors has published on her own, in addition to having separate careers. Morgan spent many years as an interior designer and Phyllice was an award-winning graphic designer. PHYLLICE: We live in different states and when we first started writing together, our interaction was done mostly by phone and fax. Now, things are much easier as we email our chapters back and forth. About twice a year we have a kind of writer's retreat when we get together and brainstorm plot ideas and such. After a few days, we wear each other out and go back to our own desks to work. Trial and error has taught us that we each have specific strengths. Morgan is the "Type A" personality and can't wait for me to plod along. She is what I call an automatic writer, she sits down and bangs out a draft of the chapter. I am the consummate editor, so even if I'm not in writing mode, when I get that first draft, I just can't wait to start editing it. I clean it up, move things around and add the humorous bits--although Morgan throws in lots of humor, too. Then I send it back to her for another go-around. Our characters are patterned roughly after ourselves and the stories take place in locales that we know, so I sometimes write the draft chapter if it involves a place I'm more familiar with. MORGAN: Almost everyone asks us that question. I guess the task of writing with someone thousands of miles away seems daunting to most people, but like everything else in both our lives, we figured out how to make it work. Besides the e-mails, we have marathon telephone conversations to both create and edit. Thank goodness for headsets and unlimited long distance telephone plans. Phyllice always refers to me as her A-Type sister…spurring her on. Sometimes I’m a real task master when she would rather draw whimsical cats and dogs than solve complex crime capers, but I always manage to draw her in. Most people think writing teams alternate chapters, and I’m sure many do, but Phyllice described how we do it quite well. PHYLLICE: Although we do have some lively discussions, we never really argue. We decided early on that we had to put our egos aside when it came to editing. If one of us wants to cut something that the other has written, we don't take it as a personal attack. If one of us feels strongly enough to do battle when an item is cut, she's automatically the winner. MORGAN: That’s true. We really didn’t know each other for so many years, now that we’ve reconnected through our writing, I don’t believe either of us could live with “rocking the boat.” Phyllice is pretty mellow and I’m rather hyper, but we manage to strike the balance so we can make final decisions that are best for the book, not for our personal likes or dislikes. One thing that I did stand staunch on…I wanted Las Vegas in the title of the latest Silver Sisters crime caper we’re working on. Victory. It is “Vanishing Act in Vegas.” Phyllice held out for not having real time action in any of our books, but rather a telling of the story, and I didn’t fight it after she explained why she felt that way. PHYLLICE: I studied Journalism and Art in college and spent many years as a copywriter and graphic designer. Most of my published writing has been in the form of informational brochures: annual reports, travel brochures, political flyers, newsletters. I did publish two small books, "Touring Juneau" and "The Juneau Centennial Cookbook." The Silver Sisters mystery series is my first stab at fiction. I spend about half my time as a fine artist and I helped to found a cooperative art gallery in McMinnville, Oregon, where I now live. MORGAN: I’m an “accidental writer.” I didn’t study writing or journalism. When I was an interior designer, a slick design magazine approached my partner and me about writing an article for them. We did, and I found I loved writing. They asked for more. My partner wasn’t interested, but I was. Many articles for them and other publications about diverse subjects followed during the next several years. “A Corpse in the Soup” was also my first published stab at fiction. In addition to the Silver Sisters mystery series, my short stories appear in several anthologies…Chicken Soup for the Shopper’s Soul, Chicken Soup for the Soul: Celebrating People Who Make a Difference, Writers Bloc II, The World Outside the Window. 2010 will see me using the pen name Arliss Adams for the release of my two-book romantic suspense set, “Devil’s Dance” and “The Devil’s Due,” as well as the short story “Anything But Paradise” in “Dreamspell Revenge.” Morgan St. James releases for 2010 include short stories “Tommorow in Dreamspell Nightmare” and “Trust No One” in “The Mystery of the Green Mist.” I also write columns for www.perpetualprose.com and the Las Vegas edition of www.examiner.com. PHYLLICE: Time is my biggest adversary. I never have enough of it. I create art, run a little Boutique, operate a small guesthouse, and put quite a bit of volunteer time into my art gallery. So sometimes I have to force myself to sit down and work on the next chapter. If Morgan wasn't so good about getting me those drafts, it would never get done. Also, she is our agent, taskmaster, networker and marketer. I am especially challenged in the area of outreach. PHYLLICE: Our latest book, Seven Deadly Samovars, is the second in the Silver Sisters Mystery Series. This comical crime caper takes place in Juneau and begins at Goldie Silver's antique shop. When a shipment of Russian samovars fails to arrive in Alaska, Goldie starts to track it down. The ladies from the Russian Orthodox church have ordered one of the fancy tea urns as a gift for the retiring priest, but before the wayward antiques are located, his young replacement is murdered. That’s just the tip of the iceberg in quiet little Juneau! After Goldie’s twin, the manipulative Beverly Hills advice columnist, Godiva Olivia DuBois arrives for a visit, the lost crate finally arrives. The samovars sell quickly, and Goldie has only one left when two menacing Russians bumble into her shop claiming that the fancy teapots belong to them and demanding their return. She throws them out, but by the next day it seems that the seven beautiful antiques are cursed. Everyone in town who received one of the samovars has been beaten or murdered, and two more customers are likely targets: a lady from Seattle and Godiva’s boyfriend, chef Caesar Romano. Our curvy sleuths, Goldie and Godiva, try to figure out what the thugs are really after. They are hot on their trail as they track the Russians from Alaska to Seattle and Los Angeles. To add to the fun, the twins’ eighty-year-old mother and uncle, Flossie and Sterling Silver, get into the act! MORGAN: Our Silver Sisters books can be purchased at most on-line bookstores, as well as from our publishers. Paperback and e-book: L&L Dreamspell. Audio books (CD and MP3 download) Books in Motion. Our books are also carried by several libraries across the country. Since they are distributed by Ingram, brick-and-mortar bookstores and libraries can also order them. PHYLLICE: We are working on the third book in the series, Vanishing Act in Vegas. The plot revolves around Mara the Magnificent, a beautiful female magician that Godiva's son is in love with. The twins start their sleuthing when Mara asks them to investigate the demise of a stagehand who fell to his death during her performance, and soon escalates into an investigation of Mara's death, too. There are lots of wrinkles and turns, and, as in the first two novels, there's a twist at the end. Morgan is also working on several other writing projects, I'll let her tell you the rest. MORGAN: In addition to Vanishing Act in Vegas, I’m working books with two other writing partners: Welcome to Paradise,with Meredith Holland, a comedy that is the extension of the short story “Anything but Paradise” and You Don’t Say with Mike Dennis, a humorous but educational look at how we murder the English language with wrong spelling, redundancies, oxymorons, words that don’t exist…well, you get the picture. Mike and I currently write a column of the same name for the Sisters in Crime/Southern Nevada “On the Prowl” newsletter. I also edit the newsletter. And, I’m forever writing new short stories. They are my relaxation. My instant gratification, unlike the novels that take so long to write, I am a fast writer. I can write and polish a short story in an evening, and I love that. PHYLLICE: Learn to let go of the things you love. When you finish your first draft, get out the machete and whack out all the parts that bog the story down--even if they are your very favorite passages. Take out the run-on descriptions that break your reader's focus or lend nothing to the natural progression of the plot. I still mourn the loss of some of my best, but superfluous, creations--but I know they had to go. MORGAN: I have two that I believe are imperative. Number One: Keep an open mind. Listen to what experienced authors, agents, publishers, and editors tell you. Then make an educated decision as to whether you will follow the advice, but don’t stonewall others’ ideas. Number Two: Don’t give up. Phyllice and I kept at it until we made our home with publishers we love. As for staying on a project you know has merit, it took me fourteen years to write “Devil’s Dance” and “The Devil’s Due,” but I didn’t give up and they’re coming out next year. PHYLLICE: I'm not much of a "joiner" so I don't belong to any writer's groups. Morgan's a hot pistol when it comes to joining writer's groups, though. MORGAN: I’m a joiner and a networker. I belong to Sisters in Crime/LA and Sisters in Crime/Southern Nevada, Henderson Writers Group, Las Vegas Writers Group, and Public Safety Writers Group. I am also Vice President of Sisters in Crime/Southern Nevada. PHYLLICE: I will be doing a book signing at our local bookstore here in McMinnville, Third Street Books, in the spring. I haven't got a date yet. MORGAN: I’ve cooled it for the month of December after doing five in November. I will be presenting “Crafting Twists and Dropping Clues” at the Las Vegas Writers Conference on April 17-19, 2010 at Sam’s Town Casino, Las Vegas, Nevada and “What’s The Point of Point of View” at the Public Safety Writers Conference on June 17-20, 2010 at the Orleans Hotel, Las Vegas. (My time slot to be announced.) 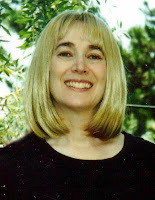 I am also a guest author at the annual Brandeis University Book and Author luncheon, March 7, 2010, Las Vegas. I will be reading from “Seven Deadly Samovars,” at the Sisters in Crime/LA meeting on February 7 in Pasadena, California, and Phyllice and I will be interviewed on Dennis Griffin’s Blog Radio podcast sometime in January. I’m constantly adding new appearances, and try to keep them up-to-date on www.silversistersmysteries.com as well as my personal website, www.morganstjames-author.com. Details of the above listed events will be on the website as well. FUN QUESTION: What do you like better, Goodwill or Gucci, and why? PHYLLICE: I shop at Goodwill all the time. Some of my coolest clothes come from there. Just a few weeks ago I found the neatest cotton sweater with a scene on the front of a black cat looking out a window at a bird and on the back you saw the bird's view looking in at the cat. I would never, ever, buy anything Gucci…but then Morgan wouldn't be caught dead wearing my cute cat sweater. MORGAN: I love clothes! I always try to be in style and love dressing up. I also enjoy sharp casual clothes. Makeup, hair, nails, it’s all important to me. Hmm. I’m starting to sound like Godiva! When I met my husband, I didn’t own a pair of flat shoes, except for a pair of Reeboks. The first time I visited Phyllice in Alaska, she said to bring boots. Okay, I did. They had three-inch heels and really didn’t work that well in the snow!